In the Well tree, select the well that you want to export the basic well info. You can also select multiple wells. 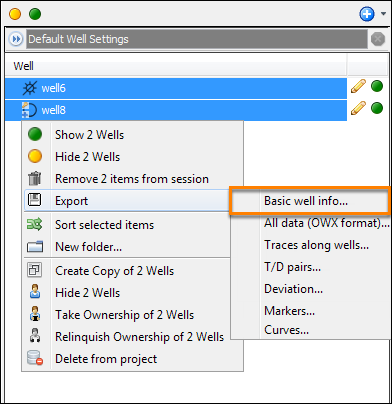 Right-click the selected well(s), click Export and select Basic well info. Browse to the directory where you want to save the basic well info and type a file name. 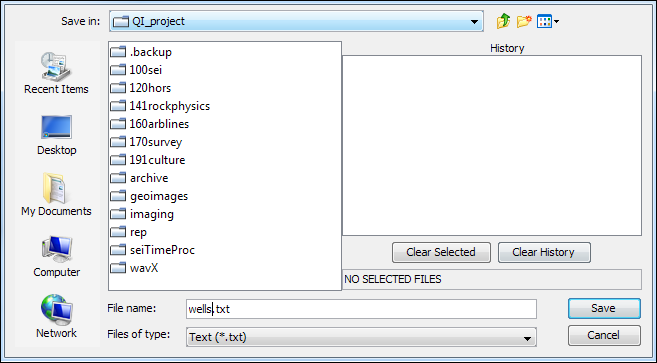 The first row of the text file contains the headers listed above, while the subsequent rows will display the information for each well.